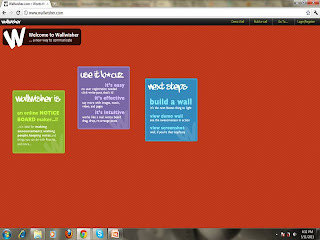 Wallwisher is an online noticeboard which allow people to stick post about their ideas, thought and resources. 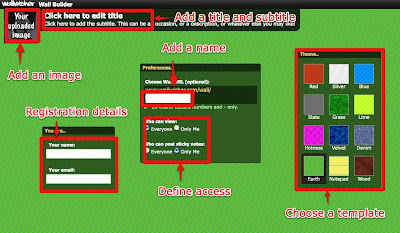 Interestingly, users can put link of pictures, Youtube video, PowerPoints, PDF document, Excel spreasheets and werbsite links. # Level of students - All levels be it low, intermediate and advanced since this tool is simply built for students to write their ideas or opinion. So, I think that all level of students can do it. Firstly, go to the Wallwisher Webpage. It could be used at the end of the lesson where the teacher can ask the students to stick their opinions or feedback (what they like/dislike, what they enjoy/not enjoy the most) regarding the lesson.This tool could help the shy students to express their opinion. This relates to Krashen's Affective Filter Hypothesis. In his hypothesis, he claims that the higher the motivation, the lower the affective filter. 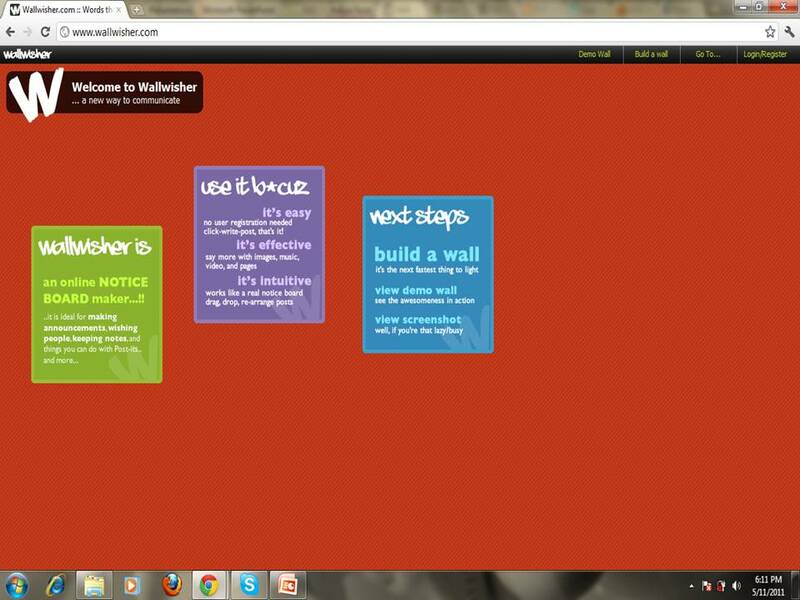 Some of the students might feel shy and afraid to speak and give opinion Thus, by using Wallwisher, the students can confidently express their opinion without having to speak. The teacher could use Wallwisher to teach imperative form of language. The teacher can firstly teach the imperative form of language. Then, in the exercise stage, the teacher could use Wallwisher and asks the students to write as many sentences as possible. The sentences should be in imperative form. The example would be: Do not touch the book! Advertisment - In pairs, the students could be asked to promote an item. The item could be a book, a shampoo or a phone. The advertisement need to be short and simple (less than 160 words). They may include images, website link or video to make their advertisement interesting. They need to ensure that their advertisement could attract users to buy the item. Then, once all the students have finished they need to see all the writing on the Wallwisher and try to recognise any pattern of language form available. They are expected to see the persuasive form of language. This activity is an example of constructivism way of learning because the students need to use their own knowledge and understanding to guess the form of language that they have used. 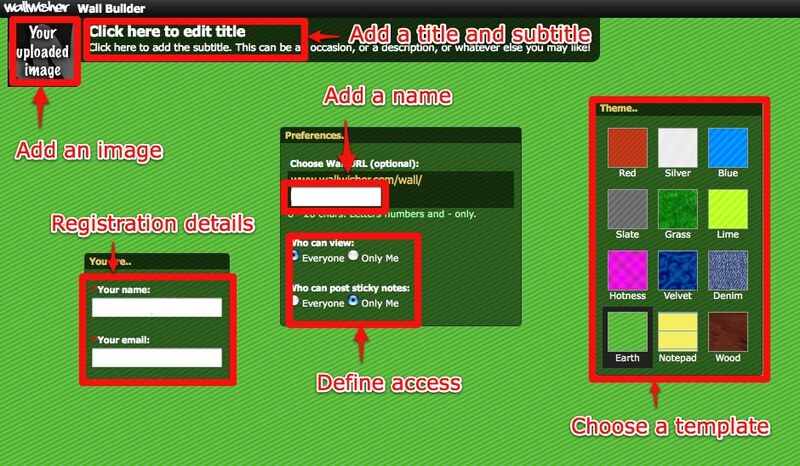 Could be used collaboratively among teacher and students as well as among students themselves. It is intuitive - works like a real notice board. Every time you click the refresh button (to update the comments list), the posts will overlap againa nd you need to arrange them again -waste of time.